Marubeni is a large globally-spread Japanese company spread over various sectors including food, chemicals, energy, finance, metals and minerals, transport machinery and industrial equipment. Although Europe does not seem to be a major focus area for the company, it is one of the shortlisted bidders in the Plomin C coal power plant project in Croatia. Marubeni has its own environmental policy and is a member of the UN Global Compact, a system in which companies voluntarily commit to abide by a number of principles and to report annually on their implementation. In addition, the company has to abide by host country laws and when operating in potential EU countries, should also act according to EU legislation. As a large global company it is not easy to locate the relevant Marubeni department. However for electricity generation projects in southeast Europe, try the contacts opposite. It may also be useful to contact Japanese NGO network Kikonet (email tokyo@kikonet.org) in order to better be able to target your communication towards the company. 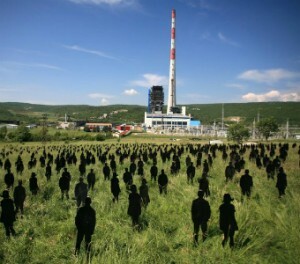 This unpopular 500 MW plant will stop Croatia contributing to the EU’s 2050 climate goals and since the coal used would be imported it will do nothing to decrease the country’s energy import dependence. Calculations by expert Enco Tireli also show that Plomin C would be economically unviable.